I'm a new member to the forum and have learned much from all the posted. I'm looking at getting a Trophy 175.. Anyone know of a dealer near Ottawa? I bought my Alumacraft from Hurst Marina 3 years ago. Unfortunately I believe they got out of fishing boats all together. I really dont know where there is a dealer anymore. I thought there was one near Toronto but not sure. I saw Alumacraft boats in Wasaga beach at a dealer there. Try a search on the internet. 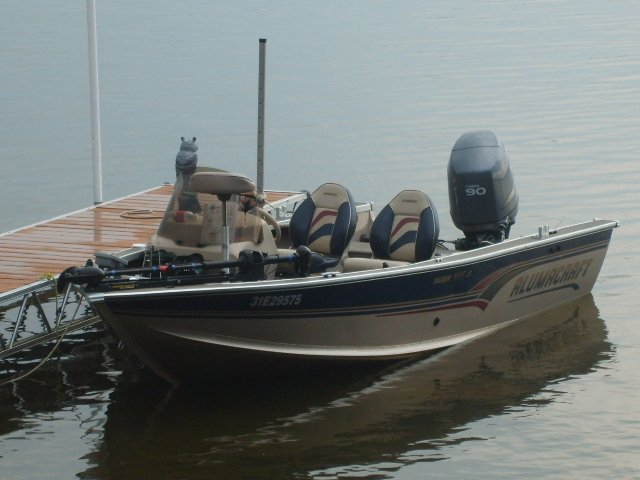 I will say this, Alumacraft has to be the best boat I have owned and is a really solid well built boat. Mine handles really well and is very stable. 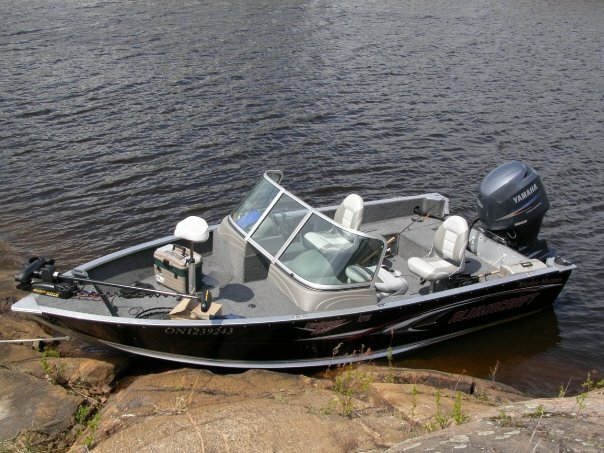 It is 7.6 feet wide and this is why it is so stable, it handles rough water well too as it got a really good test last year on Quinte with 50 plus KM winds and big waves. Hope you find one, you wont regret the purchase. You may also see if there are dealers in New York state. 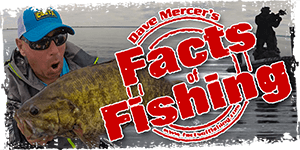 Bay CIty Marine in Hamilton is the closet dealer to Ottawa. I would think Sturgeon Falls would be a little closer... by about 100 kms. Im in the market for a new baot and Im thinking is going to be an Alumacraft. Went to Bay City and it will take 6 weeks delivery. Might wait until the boat show to buy though. price is nowhere near the Trophy's. What's everbodys take on Allumacraft. I just checked out their website and was impressed with their product. Haven't seen that many, would like to here your opinion. I have a Navigator 165CS with the F-90 and love it. Small enough to play in most places, and wide and deep enough to handle the big water (on reasonable days). like hockey and beer up here. Probably since the're made in MN. Too bad they're not well represented here in the east, like Crestliner. I have owned a Lund, a Legend (never again) and now my Alumacraft and I am so impressed with it my next boat will be Alumacraft. 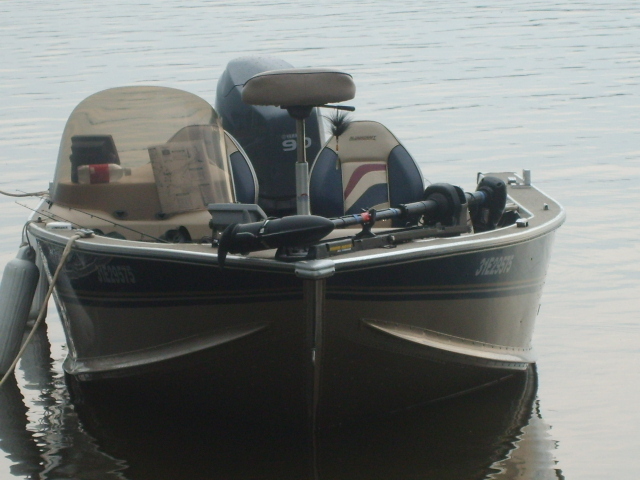 I have 16,7 full windshield and have had it in big water in very rough weather and it is very sturdy. My next one will be a bit bigger with more Horses. My current boat has a 75 mer. optimax and it is a great motor, always starts of the first crank and I get good gas mileage. If you want more info send me a message , I live in Ottawa as well. Hey there I bought a new alumacraft this year there are only 3 dealers in Ontario that deal them Bay City in hamilton. One is wasaga and the one on sturgeon. I called all three Bay city gave me the best Price. The one in Sturgeon didn't want to sell me a new boat and tried to pawn off a used one that was no where near what I wanted. 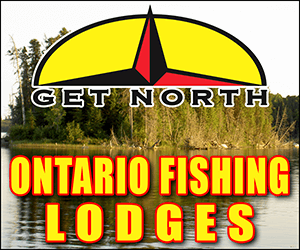 and Wasaga was way over priced I got my entire package for 6000 less at Bay city the what wasaga offered and the boat from wasaga had no electronics obn it. Blows my mind how some people do business. 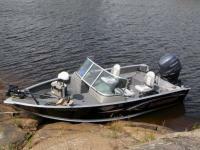 IF you go to www.alumacraft.com they have a Dealer locator on there ansd maybe there is one close to u in Quebec. I purchased a Navigator 175 awesome boat with a great ride. There is also a dealer in Kinmount, ask for Jenn. to "closest" dealers in/around Ottawa. they'll wheel and deal no problem. denied warranty service from the CDN dealer. Also I believe the warranty on the "new" motor would be invalid. Anyone know the difference between the Dominator and Trophy? 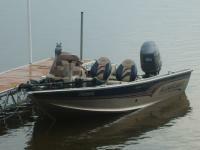 I have a Navigator165 full windshield and have no problems, solid well built boat. A lot better than those skinny Lund`s out there!!! Just kidding if you like skinny Lunds thats cool! They are identical boats with the obvious difference beng one is a full windshield and the other is a single windshield. is beefy'r (sp?) on the Trophy. Thanks... So the specs are more comprehensive in the printed material than website? Ok. Kinda answered my own questions, with some help.. Found more details on dealer website. Yup. Alumacraft is a well built boat. Been threw alot, but no leaks, the water guards keep you from getting wet, especially when on plane, handles big water well. All around solid boat!! Definitely worth the $$$. And I would definitely put a Yamaha on the back to make the boat complete! warranty. Wonder if Yammy will step up on the warranty in '09? Not that there is anything wrong with Suzuki but I've found part availabilty and service to be much more difficult to find than OMC/Honda/Merc/Yamaha. They do have a growing dealer network so those issues may be shrinking. Ya, I read that online as well. Also heard the parts situation was improving. Not sure how true this is. The boat will live up north and there's a local dealer for both Yammy and Suk. Should be covered either way.